Peacey had played with bands for about 30 years previously, so becoming an Elvis Tribute Artist (or ETA, as they’re called in the industry) came naturally to him. In 2016, he competed for the first time at an annual festival in Penticton. He made the finals. “It was a big boost for me to keep going with this,” he said in an interview. Peacey knows about 50 of those songs, many of them from The King’s 1970s era. 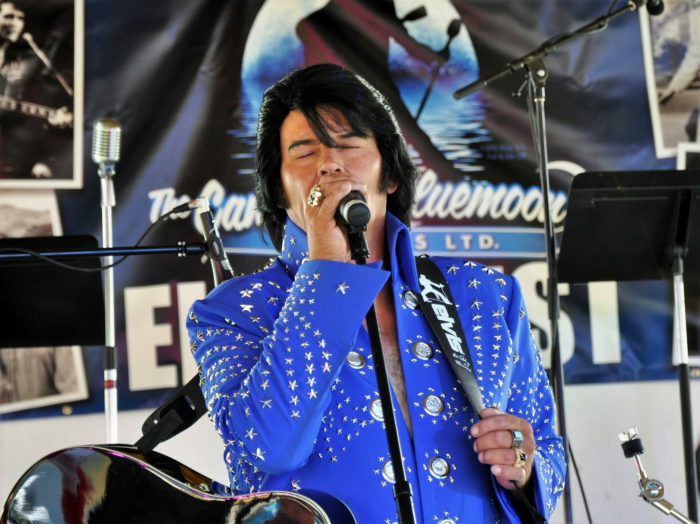 Before becoming an Elvis tribute act, he covered some of his songs with his band The Impalas. He also became familiar with his discography growing up thanks to his parents who would take him to Elvis movies and play his music around the house. 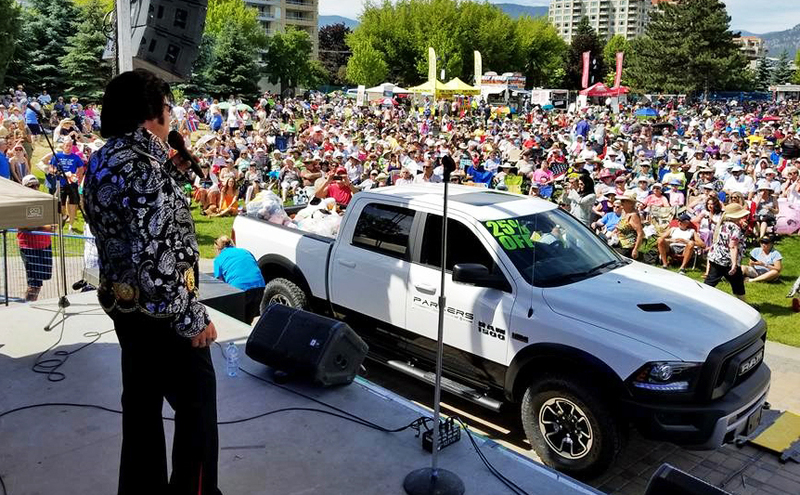 Living in Campbell River, Peacey is now one of the only official Elvis Tribute Artists on Vancouver Island and does private performances all over the area. It’s a pricey endeavour to compete – the custom jumpsuits alone can cost up to $1,500 each – but Peacey can make some of that back by booking private shows. “I feel different when I’m dressed,” he said. Peacey has made the finals twice so far in local Elvis competitions. There are competitions sanctioned by Elvis Presley Enterprises around North America, with the ultimate one being in Memphis, TN. “I’m going to branch out and try to do some U.S. festivals and competitions next year,” he said. This winter, Peacey has plans to perform in Las Vegas. More information about Peacey can be found at www.facebook.com/ronpeaceyeta.